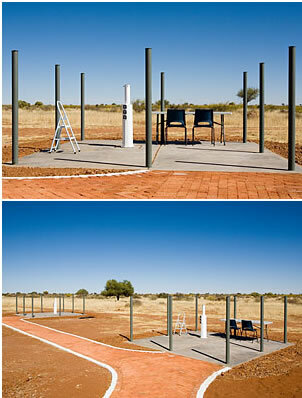 At Kiripotib you have 8 wind protected 4x4m observation platforms at your disposal. All platforms are equipped with 230V power outlets (Schuko "CEE 7/4" plugs), a dampened, isolated steel-pipe pillar, a movable telescope protector, a large table, 2 chairs, a ladder and a fleece blanket to fend off the chill. Additionally we provide a roll-off roof observatory, equipped with a heavy duty MK100 mount. Observation platforms are included when renting a mount. The platforms are spacious enough to allow you to set up the Berlebach tripod Uni 18 with Miauchi adapter and Miauchi astronomy binoculars while using the pillar for photography. Additionally we provide 3 wind protected platforms without a pillar for visual astronomy, also equipped with 230V power outlets (Schuko "CEE 7/4" plugs).